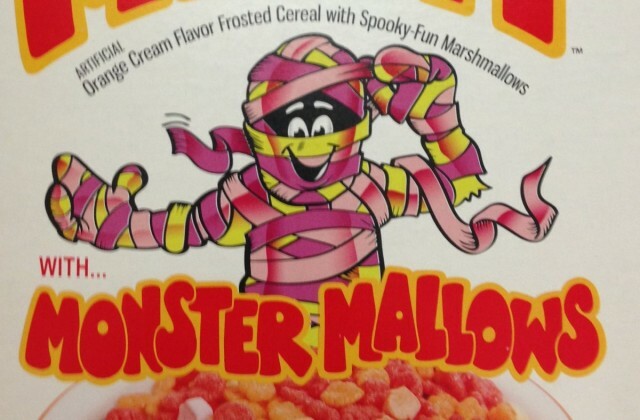 Back in 2013, I addressed General Mills’ line of “Monster Cereals” in one of my October posts. You can read the whole thing here. My thoughts on the topic generally haven’t changed, but since the 2nd has already come and gone, I chose a list that wouldn’t take too much thought to put together. So what follows is simply a ranking, worst to best, of the five Monster Cereals. I’ve included a short, and highly subjective, summary of my reasoning for each placement choice. Was anyone really clamoring for a blueberry-flavored cereal? And why did General Mills choose a ghost spokesman before using a werewolf? I call malarkey. To be fair, the Peter Lorre impersonator they got to voice the Boo Berry character IS significantly more spot-on than the actors aping Karloff and Lugosi, so that’s one point in the sapphire specter’s favor. But it’s not enough to raise this spirit from the depths. I’ll say one thing about Franken Berry: It’s the goshdarned PINKEST cereal on the planet. In fact, it’s probably the pinkest breakfast item out there, and it rivals just about any other foodstuff, period (though bubble gum and cotton candy still reign supreme by a slight margin). 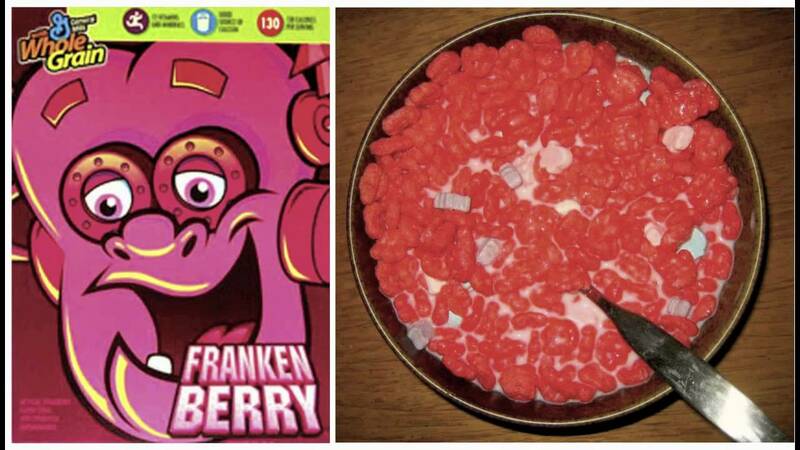 Of all the Monster Cereals, Franken Berry delivers arguably the most distinctive experience. There’s something about the shocking sweetness and unearthly color (which permeates the milk itself) that makes every bowl of Franken Berry a transcendent journey. I don’t want to ignite a firestorm of controversy, but I feel it needs to be said: NONE of the Monster Cereals actually taste all that great. They give the sense of being cheaply made, even in comparison to other cereals, almost as though they were pumped out of whatever machinery processes Kibbles n’ Bits. That said, Count Chocula ranks the highest of the standard issue monsters simply for tasting the most like a “real” cereal. If you were blindfolded, you just might mistake the taste for that of another, more successful chocolate cereal. Not exactly glowing praise, perhaps. 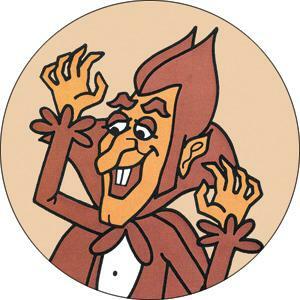 Nevertheless, I will concede that Count Chocula definitely has the highest profile among his monstrous breakfast brethren, Ask people to name cereal mascots, and Count Chocula will get mentioned long before any of the others. In a spooktacular Halloween miracle, the year I chose to feature the Monster Cereals in my countdown also happened to mark the only time in history that General Mills released ALL FIVE of the cereals simultaneously. Sadly, the two tastiest monsters were returned to their tombs the very next year. Yummy Mummy, a “fruity-flavored” cereal originally produced in the late 80s and early 90s, smacks of orange and vanilla. It’s really quite good (even in spite of having the same coarse texture as its fellows), and that makes me miss it all the more. 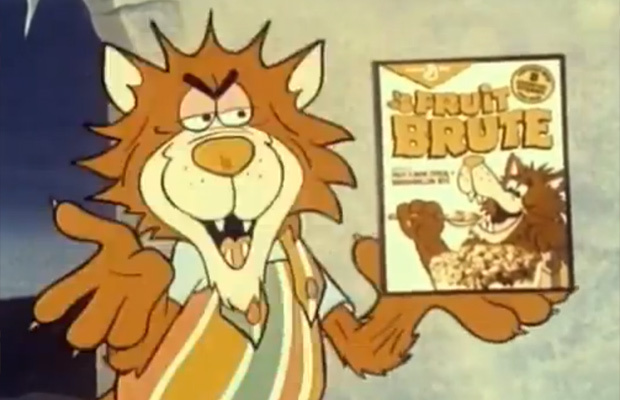 Another of the “banished” monsters, Fruit Brute was initially produced throughout the 70s. And though the friend who turned me on to the 2013 re-launch favored Yummy Mummy, I’ve got to side with Quentin Tarantino (who has a tendency to hide a Fruit Brute box somewhere in his films) on this one. Though the werewolf mascot may be the least visually distinctive of the bunch, his cereal more than makes up for it in terms of flavor. As I mentioned in my earlier post, this stuff tastes like eating a bowl full of cherry pop-tarts, and it’s simply sublime. It is with a heavy heart that I bid it farewell. But I cherish the fact that, for a fleeting autumn moment, I had it in my life. Some of my affection of the “goshdarned PINKEST cereal on the planet” is sentimental, as it was my dad’s favorite cereal growing up. When we started seeing it in stores, we made it a fairly regular tradition to get a box or two a year.